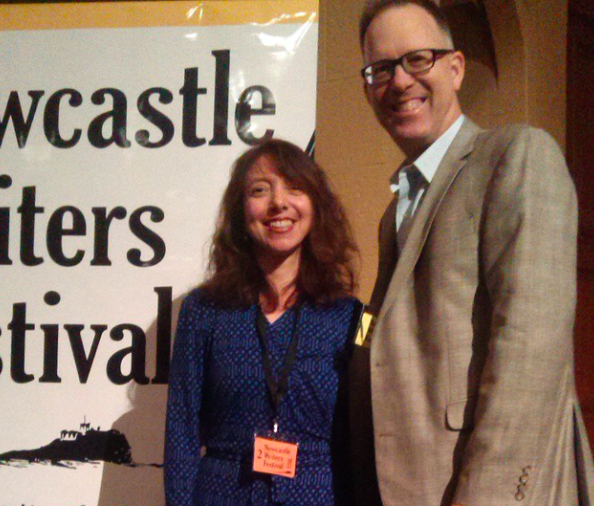 Yesterday, at the Newcastle Writers Festival, I had the pleasure of interviewing author Garth Nix. We were in the beautiful concert hall, and though I’m sure there were many fantasy authors in the audience, who were attending primarily to learn how to improve their writing, I suspect that of all the NWF sessions, ours would have had the highest proportion of people who were there simply because they loved the work of the author. There were plenty of Nix fans in the audience, clutching their books in eagerness for a signature and photo after the show, and enjoying Garth’s rich sonorous reading from Clariel, the latest book in the Old Kingdom series. 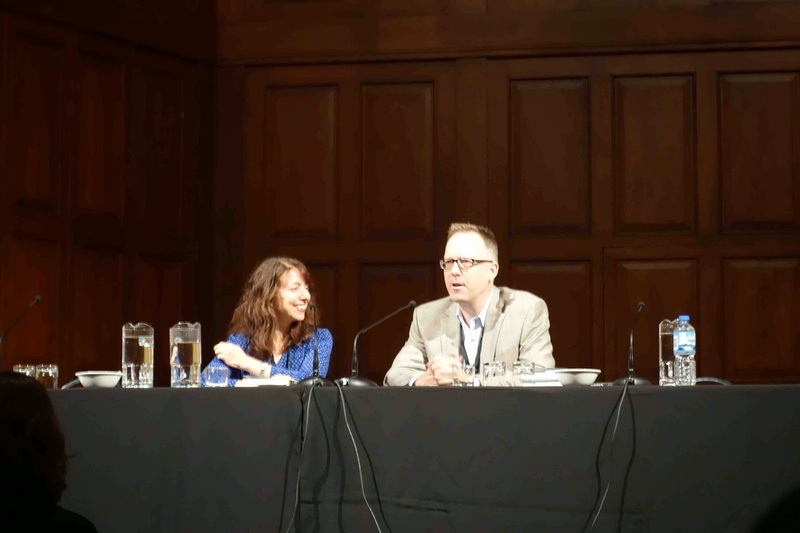 Garth was engaging, and though I was in the role of interviewer, I found his answers as inspiring to me as an author as if I’d been sitting with the audience. Some of the points I took away were that his first 12 or so novels were written very much part time while he was working in a time-consuming day job (the first few books were not particularly successful or life changing). He said he wrote only two nights a week and on Sundays and had a novel a year at that rate. When he finally decided to write full time, he spent a year procrastinating and not writing, and went back to work for agent Curtis Brown just to get back to his productive part-time schedule! One of the audience asked him how he came up with his lyrical book titles (character names) and he said he began with Sable - near black, and wanted the ‘iel’ suffix to conjure the notion of angels in people’s minds (Gabriel, Azreal, etc) as just a slight resonance. He wrote out a long list of names and read them out loud many times in order to see which ones felt right ("Sabriel...Sabriel" he said into the mic in his deep resonant voice). Abhorsen came straight from Shakespeare’s executioner in Measure for Measure (“I employed the time-honoured tradition of stealing from Shakespeare, who did it himself"). There were lots more gems, about world-building, about gender and genre, about monsters and family pets (“Mogget is every cat I’ve ever known”), about the joys, and sometimes pressure of having super-engaged fans. The audience asked wonderful questions (I apologise to anyone who had a question that we didn’t get to). At the end, Nix gave away lots of goodies - books not available here, an audio of Clariel, and bell charms. I have to make special mention of the wonderful volunteers, who made sure that everything ran smoothly and professionally. They were at the NWF all day, working hard, smiling warmly, and it all felt effortless to me. If you didn’t get to the NWF yesterday, and even if you did, there’s still a whole bevy of sessions on today. There are tickets available for everything, and lots and lots of fantastic free sessions too. I’m afraid I’m no stranger to grief. I think few of us are. Grief is an inevitable part of life: we live, we love, we suffer, and we lose those we love. One thing I have learned about grief, particularly as I’ve grieved, sometimes silently/secretly, for the loss of my mother and my maternal grandmother over the past few years, is that expressing and sharing the complex emotions of grief is helpful. It might be cathartic, it might be that you begin to understand that all those feelings that seem entirely wrong and unrelated to the simple underlying sense of sorrow - guilt, fear, anger, and relief to name just a few - are all part of the deal, or it might just been the awareness that this silent pain is not one that you’re experiencing alone - others get your pain, and love you for getting theirs. 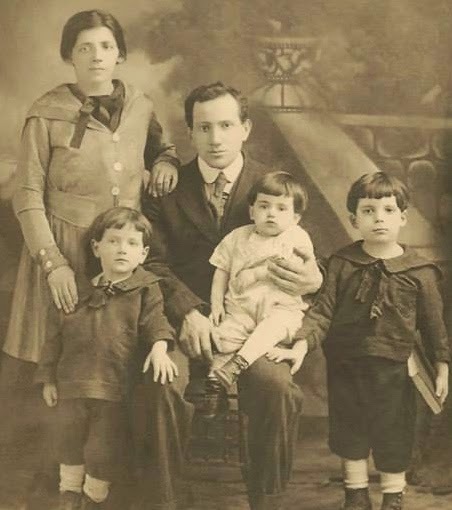 While I was caring for my mother, we were looking through some of her photos and one was of my maternal great-grandparents with three of their children, my grandmother being the fourth, as yet unborn. The image unleashed long suppressed and intense feelings in my mother, who confided in me a great deal of her own grief. When I found the photo again as I was cleaning out her things, I decided to have it restored by the excellent AZ Pictured. The image inspired me to write the piece that long-listed in the 2014 Grieve Writing Competition. As I attended the live reading, I was similarly moved by the beautifully written outpouring of grief that I heard, and found the whole process to be surprisingly healing. So today’s post is really just an encouragement to you to write your own grief in whatever form it comes out in, and then, enter it into the Grieve Writing Competition for 2015, which is now open. The competition is open until June 1st, and you can enter online here: http://www.hunterwriterscentre.org/grieve-project.html You could win $1,000, hear your story read live by professional readers, and above all, inspire and help someone else in their grief as you share yours. 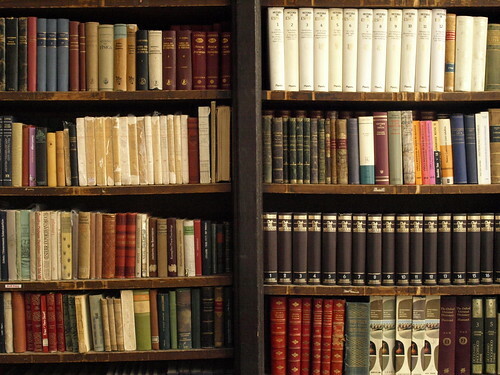 I will look forward to reading (and hearing) your work. Good luck! You never really master or finish with a good poem. I’m not talking about the writing of poetry, which is another blogpost entirely. Reading poetry is an ongoing process. Good poems always beg to be read again. Though there’s nothing quite like reading a poem in that silent one-on-one space, I also really enjoy the way a close reading in a group setting can open out a poem, unpack it, and provide new insights as the group members riff off one another. It becomes a whole new reading. Jacket2’s PoemTalk is a great way to experience a poem. These relatively short podcasts make you feel like you’re part of the discussion circle as the participants chat about and work through a single poem in a way that somehow manages to be casual and light, and still rigorous. The latest episode focuses on James Schuyler’s “February”, a poem I came across many years ago and had forgotten. Finding it again at my favourite podcast, illuminated by such warm and intelligent poets and teachers, has been like finding a piece of myself I put aside. and streaks of cloud beginning to glow. And do please, just for your own pleasure, visit PoemTalk and spend a little while procrastinating in the most delightful of ways. Another packed issue of The Compulsive Reader news has just gone out. 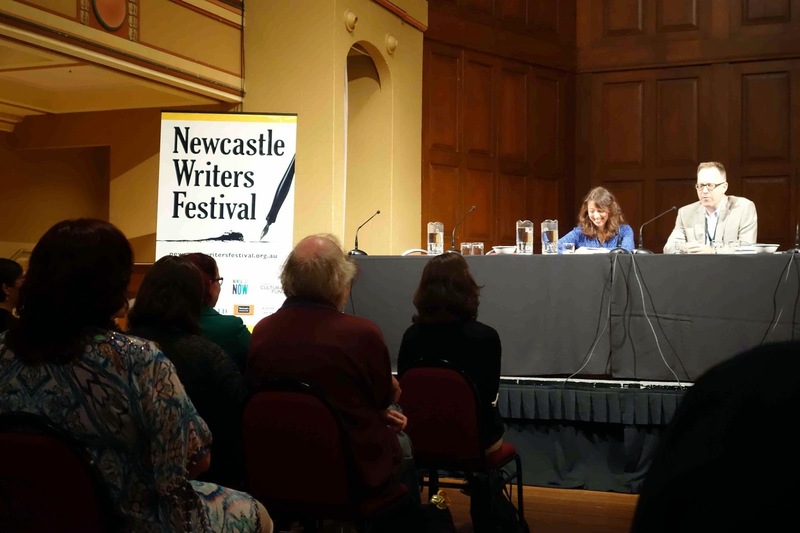 This one includes a little promo on the amazing 2015 Newcastle Writers Festival (more on that very soon!) as well as 10 new reviews or interviews, the usual bevy of book giveaways (I’ve got 5 this month which I’d love to send to you), and some pretty cool advertisements too (even our ads are bookish). If it’s not already in your in-box, you can grab a copy from our online archive. If you’re not subscribed, you can do so for free right on the front page of compulsivereader.com.